Sketchbook_Hämeenlinna_1990_020, originally uploaded by Brin d’Acier. I started experimenting with larger notebooks so that I could include more detail. We spent the summer in Hämeenlinna. 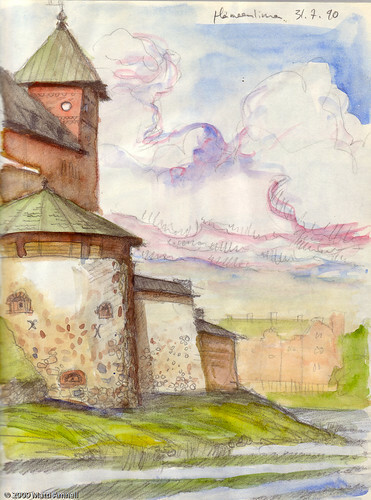 While my girlfriend excavated a lost viking-age city, I drew and painted. 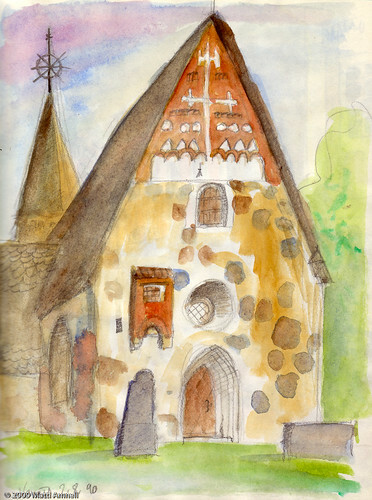 Sketchbook_Hämeenlinna_1990_023, originally uploaded by Brin d’Acier.